Last we heard from the REAL NUMBERS they were dropping a 7″ on Florida’s Dying in 2011. Only Two Can Play is their brand new EP, courtesy of Three Dimensional Records in Minneapolis. 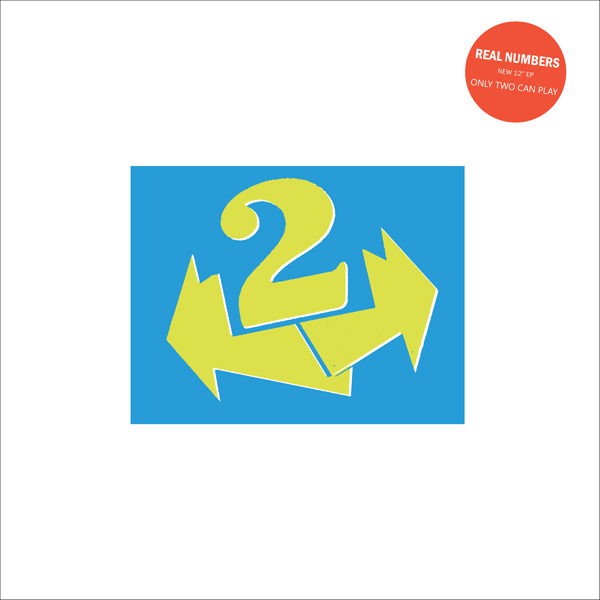 The Real Numbers are picking up right where they left off with their new EP. They stick to their simple pop-driven formula that made their earlier singles so infectious, charming us with six new tracks of bubbly, fun-loving garage pop. Their simplistic sound is characterized by delicate, lighthearted vocal tones and sweet, sugary guitar hooks. Most tracks barely pass the two minute mark which means you’ll be spinning these tracks a few times as the sink in. Each of these lovable garage nuggets are literally bursting with energy, with one perfect example coming in self-titled track “Only Two Can Play”. It’s driven by jangly chords and a sparkling lead guitar, supplying us with a picture-perfect nugget of their innocent sound. You can start by listening to the EP below – you can even download it entirely for free! BUY the EP directly from Three Dimensional Records – limited to 300 ! Posted on May 23, 2013 May 23, 2013 by styrofoamdronePosted in 7", ReviewsTagged garage rock, pop. Wow, thanks for mentioning this, loved their self titled record and the Floridas dying one….this is great! Ordered. They sound a bit like Television Personalities, don’t they? Wow I liked that, is there any way to test listen the rest of the tracks or will I just have to purchase the EP?